A celebration of life memorial services is scheduled for 11 a.m. Tuesday, Jan. 17, at First Christian Church for Maurise Stewart of Artesia. Stewart, 89, passed away Wednesday, Jan. 11, 2017, at his home. David Grousnick will officiate at the services. Cremation has taken place under the direction of Terpening & Son Mortuary. Honorary pallbearers are the members of the Artesia Bulldog Sams and Bill Jackson. Maurise was born June 21, 1927, in Ryan, Okla., the son of James Monroe and Clara (Gann) Stewart. On Feb. 1, 1951, he married Joyce McCulloch in Duncan, Okla., and the couple came to Artesia in 1960 from Tatum. Maurise worked for Halliburton Services in Oklahoma, Louisiana, Texas and New Mexico for more than 35 years. 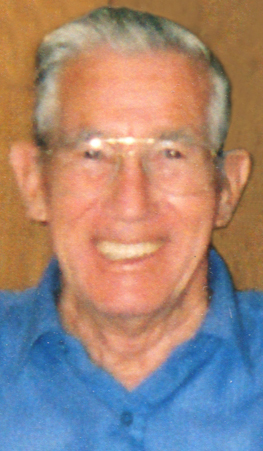 He was a World War II Navy veteran and a member of the Lovington Masonic Lodge and Artesia Bulldog Sams. Maurise attended First Christian Church in Artesia and was a volunteer for Meals on Wheels. He enjoyed camping, fishing, and playing cards, and his favorite food was Twinkies. Survivors include his wife, Joyce Stewart, of Artesia; son Rusty Stewart of Oklahoma City, Okla.; daughters Kay Stewart of Deming, Karen Palmer of Albuquerque, and Kristy Powell of Las Cruces; grandchildren Bryan Hunter, Nick Palmer, Sam Palmer and Shane Stewart; and great-grandchildren Chad Stewart, Callie Stewart, and Mason and Hudson Hunter. He was preceded in death by his parents; brother Calvin Stewart; sisters Audrey Waggoner and Maurine Carter; and grandson Reese Hunter.